Construction of this church began in l930. The exterior painting and elaborate interior decoration, mainly by local amateur artists, began in l938 when the structure was completed. This work was well advanced in l952 when the church was consecrated. The design is the work of the Very Reverend Philip Ruh, O.M.I. (l883–l962). 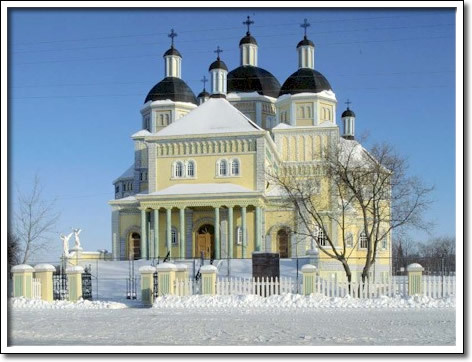 He was responsible for planning at least 30 Ukrainian Catholic churches in Canada, l3 of which survive in Manitoba. Reverend Ruh worked alongside his congregation at Cooks Creek in building this church, the largest of his remaining creations in Manitoba. Reverend Ruh also foresaw construction of the adjoining Grotto, a representation in concrete of the Grotto at Lourdes, France. He died before its completion and is buried in the nearby cemetery.